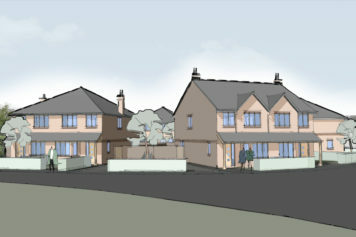 Wokingham Housing (WHL) are delighted to announce the approval of plans for 10 new, three bedroom family homes in Woodley. 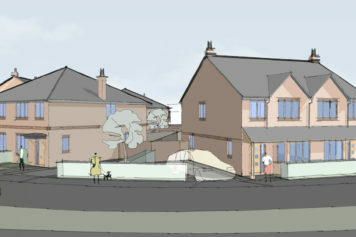 The planning application was unanimously approved at the March meeting of the planning committee. The site was once home to Woodley Age Concern which closed in 2016 after the day centre fell into administration. The high demand for affordable housing in Woodley meant WHL were commissioned by the Council to secure planning to build much needed homes for affordable rent and shared ownership (part buy/ part rent). WHL worked with the architectural arm of Ridge and Partners to design the new, traditional brick built homes, so that they fit nicely into the existing well established community within Southlake Crescent. These 10 homes will be well served by the local shopping precinct in Woodley that offers schools, a library, shops and access to health providers. The houses are well positioned with access to local bus routes and major road links. Of this new development WHL Chair, Councillor Alistair Auty said “Now that planning permission has been achieved, WHL are eager to move forward and deliver more affordable housing. What we see happening here is the perfect execution of the WHL model, taking surplus Council owned land assets and using them to deliver much needed social and affordable housing”. It is anticipated that construction of the new homes will commence during 2019 after the build contract has been tendered to ensure WHL achieves best value for the Council. Upon completion it is planned that the 10 properties will transfer to WHL’s sister company Loddon Homes – also a wholly owned Council company, regulated by the Regulator of Social Housing. All allocations for these properties will be carried out through Wokingham Borough Council’s allocations team.